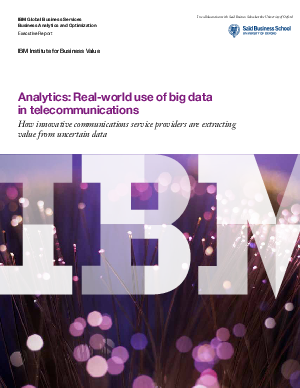 “Big data” is made for the telecommunications industry. Thanks to their networks and the proliferation of smart devices, communications service providers (CSPs) have access to a wealth of information about their customers’ behaviors, preferences and movements. Big data is a tremendously valuable asset for these companies. It puts them in a prime position to win the battle for customers and create new revenue streams – provided they can get their acts together. Our newest global research study reveals how CSPs are responding to today’s big data opportunity.